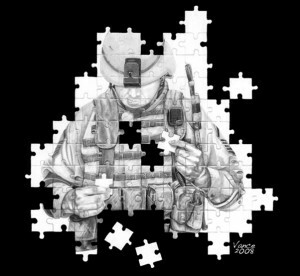 Those that suffer from post-traumatic stress disorder (PTSD) are consistently trying to regain some sense of the normalcy they had before events that caused pieces of themselves to go missing. 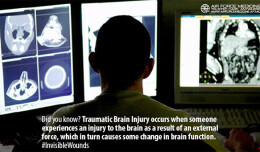 Misconceptions and stigmas surrounding PTSD get in the way of successful recovery and the ability to return to duty. Effective treatment of post-traumatic stress disorder is possible, but many Airmen falsely think seeking medical help for PTSD will hurt their career and will not help them get better. 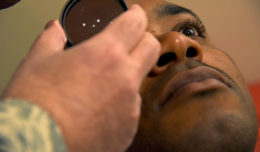 These stigmas and misconceptions create perceived barriers, preventing Airmen from seeking care. Delaying treatment can cause the anxiety and fear following a traumatic event to affect an Airman’s readiness. Lt. Col. Joel Foster, the Air Force Mental Health Policy chief, says that many times Airmen delay seeking treatment for mental health problems because they have heard supposed stories of Airmen losing their jobs after going to the mental health clinic. Air Force mental health experts say these stories are largely myths, and that the vast majority of visits to the mental health clinic result in Airmen getting better. As Foster explains, cases of Airmen losing careers from a PTSD diagnosis are extremely rare because current treatments have improved and access to mental health care has increased. Some Airmen may put off seeking PTSD treatment because they do not know what the therapy entails. Foster explained that negative media portrayals of mental health creates an image that PTSD is a chronic, life-long disease that is difficult to treat. According to retired Lt. Col. Alan Peterson, consortium director, South Texas Research Organizational Network Guiding Studies on Trauma and Resilience in San Antonio, Texas, this is not the case. According to Foster, mental health providers depend on a set of standard treatment practices, built on years of research, proven to be effective, and vary little from therapist to therapist. Protocol-based therapies have clear objectives in place for each session. Prolonged exposure and cognitive behavior therapy are two of the most common therapies. PTSD treatments are highly effective. Foster cited research that shows more than 80 percent of patients respond favorably to protocol-based treatments. As Fields explains, treatment can be difficult, but worth it. Most patients are able to return to their jobs and lives, and function at a high level. Researchers continue to look at ways to improve PTSD treatment so that Airmen can get even better results. Peterson established a group of 150 investigators to focus on developing and evaluating protocol-based treatments for PTSD in active duty military. Project Remission accepts referrals for active duty military to participate in this intensive treatment program through Brook Army Medical Center and the University of Texas Health Science Center at San Antonio. Those interested can visit www.strongstar.org/treatment for more information.